When I was in 9th grade math was my favorite subject. I’m weird. I love math. I don’t, however, always love teaching it. I don’t always have the patience to go over the same type of problem over and over and I don’t always have the creative ability to present the same material in many different ways. In other words, I could certainly use some help teaching math. Especially at the high school level. Recently, through the Schoolhouse Review Crew, I have had an opportunity to use MyMathLab Algebra 2 from Pearson Education with Turtlegirl. This has been a fabulous experience for both of us. This program has allowed me to be completely hands off with teaching and yet at the same time know exactly what Turtlegirl is doing and exactly how well she is doing. This is a fully-digital course. The Student Access Kit is $49.97 while the Parent Access Kit is an additional $30.00. Instructions are included for registering and setting up your course. You’ll want to set up the Parent account first and then repeat the process for the student. The account includes everything you need to complete the course including teaching instruction, practice problems, homework, quizzes, and tests. Let me start with the Parent/Teacher account. I found it a bit confusing and not very intuitive to use. After logging in, you must click on the name of the course. Now you are at the HOME screen for MML and it looks exactly like the Student Page except on the lower left side is a button that says “control panel”. This is the portal that grants access to what you need as an instructor: grade book, study plan, settings, etc. I used the program with the default settings as I liked them. The program comes with preloaded assignments and a default prerequisite setting of 90%. This means that the student must complete one assignment with at least 90% before gaining access to the next assignment. Ok, I don’t just like that feature. I love that feature. I can choose to remove the prereq or change the percentage but I want my daughter to master each step before moving on. As the instructor you assign “date given” and “date due” to each homework, quiz, or test but with the prerequisite in place I didn’t feel the need to create due dates. I set all the date givens as the first day of the course and the “date due” column is blank. Though I wasn’t overly impressed with the Parent/Teacher aspect ~ it really is geared/designed for more of a classroom or school situation~, I love the student side of the course. Love, love, love love it! I love how independent my student can be. She can watch a video, read the text, or ask the program to help her solve a problem. And if she still has questions, she can let me know by using the “ask the instructor” feature which will send me an email! I also love that I don’t have to do the teaching, or the grading. My student is learning and I check her progress or make adjustments but I don’t have to spend time preparing lessons or re-learning math so that I can explain it to her. I like that she sets her pace. If she is struggling with a concept she can slow down and make use of the online textbook or videos. If she grasps a concept quickly she can work through the problems and if she scores 90% or better she can move on. The biggest con that I can think of? There isn’t a course for Geometry or Pre-Calculus. My Bottom Line: I recommend this program. Especially for families where mom may not feel confident in teaching Algebra. (There is an Algebra 1 program as well as the Algebra 2 program that we are using.) 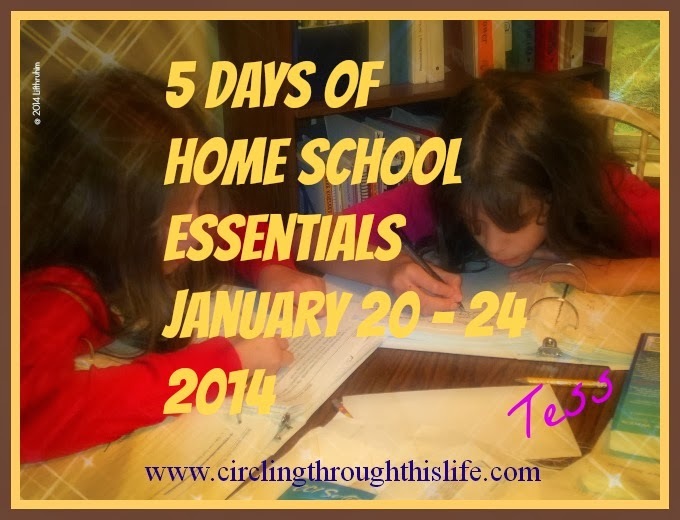 This course can free mom up for other aspects of home education. A year ago I had the opportunity of reviewing the All Together Social Studies First Grade text published by Pearson. It was so difficult to navigate the website. I am pleased to tell you that Pearson has a created a new website just for home educators (http://www.pearsonhomeschool.com/) and it is so much easier to navigate. You can search by product or by subject or by grade level. The Crew reviewed several different Pearson Education products including different grade levels of Math, Reading and Social Studies. Click on the Banner below to read what other Schoolhouse Crew Review team members had to say about these products.